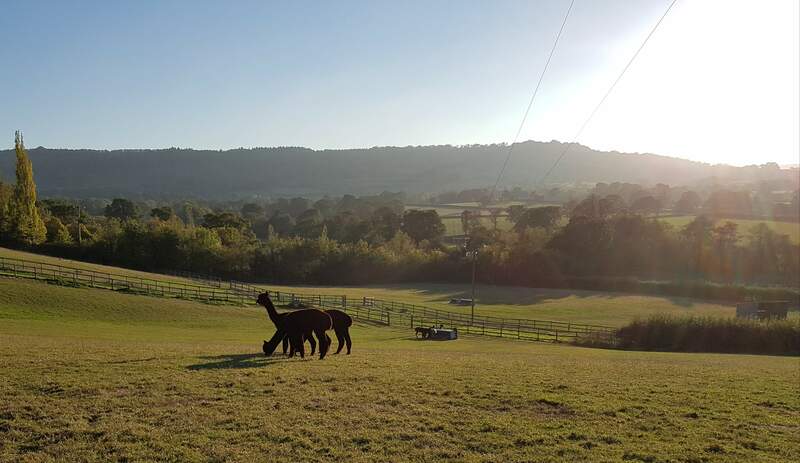 Why not join us and the alpacas at Budleigh House Farm for one of our 'Alpaca Experiences'? Alpacas are intelligent, inquisitive, non-aggressive and very silly animals and as such they can be quite entertaining. 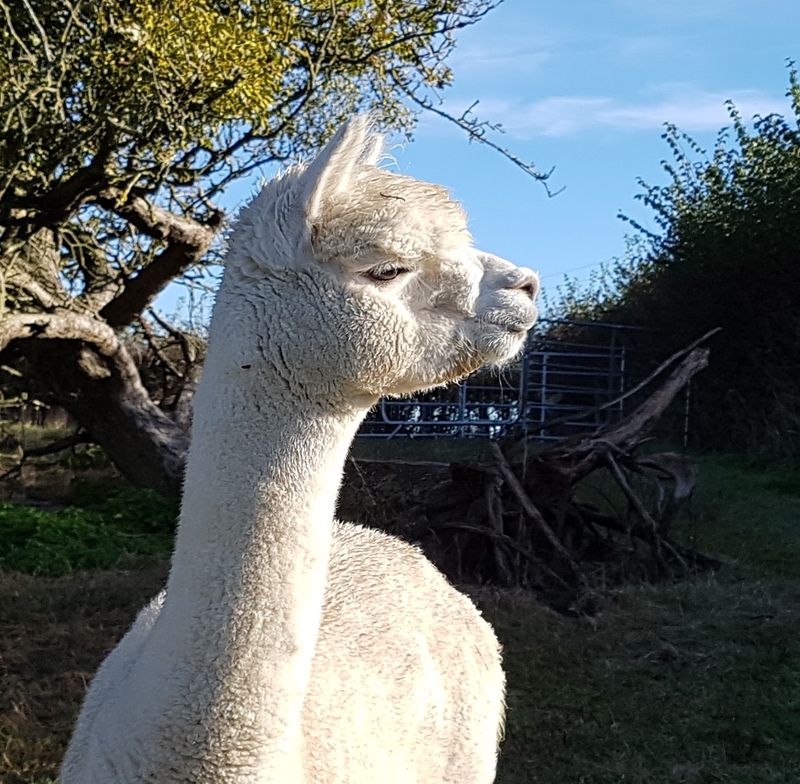 Our alpacas are generally very friendly, but, like humans, they all have different personalities and some quite naturally are friendlier than others. If you want to spend some time with these beautiful creatures and learn about them contact Mark and book yourself on one of our experiences. We can tailor experiences to meet your needs and desires so if you don't see an experience that fits what you are looking for let us know and we'll do our best to accommodate you. How about giving an Alpaca Experience as a present for a friend or relative? "We all throughly enjoyed our 2 hour ‘Alpaca experience’..!! Our group of 5 went as part of a 21st birthday present. 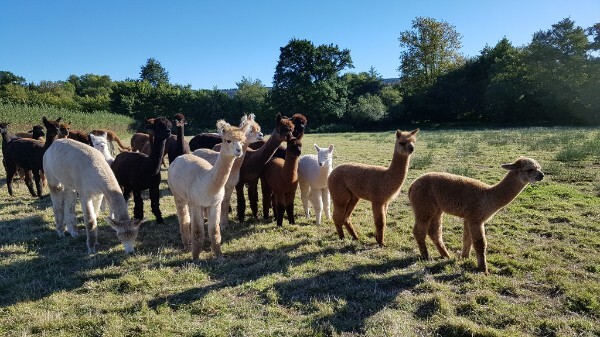 Mark & Sue were great hosts, informative, knowledgeable, and enthusiastic about Alpaca’s and their own fantastic herd..
We were able to spend ‘close up and hands on’ time with; the girls, the boys, and the stud males..
A fantastic experience, in a wonderful location, even the weather was kind..!! We will definitely return later in the year to see the young and new arrivals..
1. Meet and greet the alpacas. (Approximately 60 minutes). Join us at feeding time and help feed the alpacas. Meet the female group together with this summers babies, spend time amongst them whilst we tell you all about them and answer any questions that you may have. Photo opportunities included. For two people - £30. A group of up to 5 people - £50. (For larger groups please contact us). This experience is held in the concrete farmyard which is almost level! 2. Alpaca Walkabout (Approximately 120 minutes). 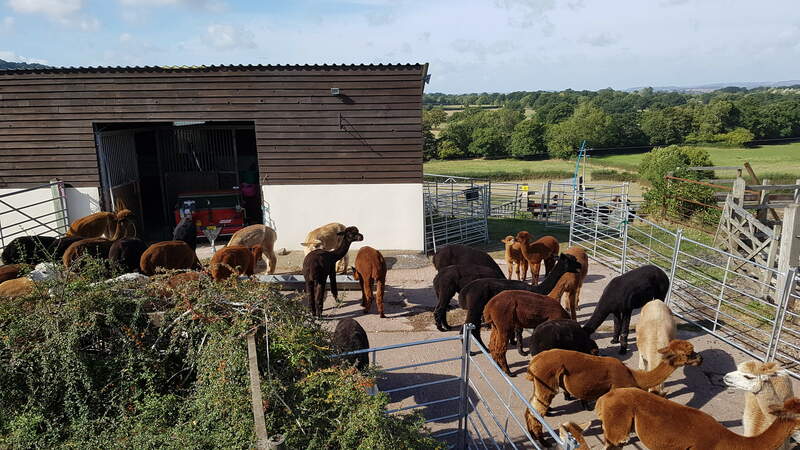 Join us at feeding time to feed the alpacas as per the 'Meet and Greet' additionally we will visit the males including the stud males in their paddocks. Then return with the alpacas to their pasture where we will walk among the herd as they get back to their business of grazing (they do a lot of this!). More time to take photographs, ask questions and interact with the alpacas. For two people - £50. A group of up to 5 people - £75. The farm is on top of a hill right on the edge of the Blackdown Hills and our pasture is on sloping land until we reach the lower paddocks. It is advisable to bring waterproof footwear during the winter months as it can be quite muddy in gateways etc. I must also point out that this is a working alpaca stud farm, as such there is always plenty of alpaca droppings about! Monday to Friday: at 11.00am. 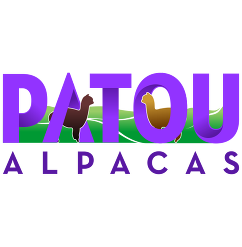 Please contact Mark at Patou Alpacas to enquire about making a booking.